Rhuddlan Castle is one of the most beautifully situated and dramatic castles in north Wales. It stands on a rise over the River Elwy, near an earlier Norman motte. 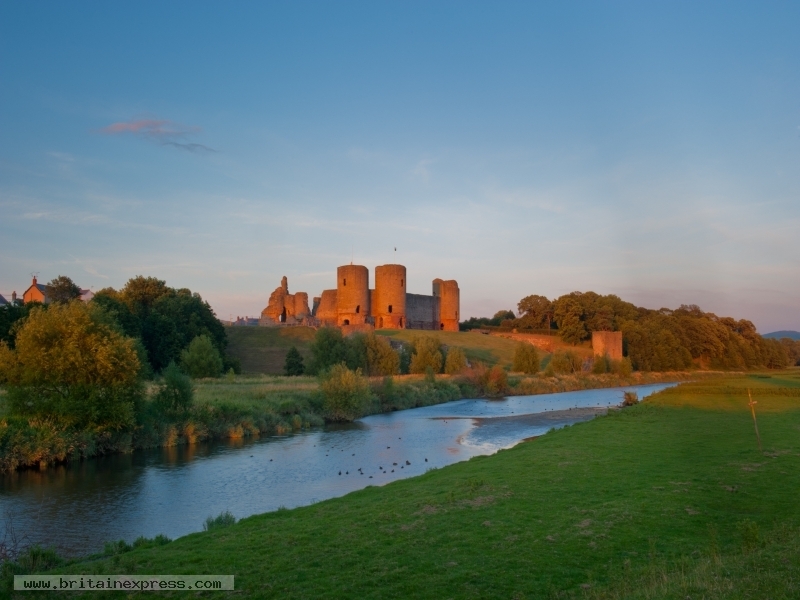 I had intended to get closer to the castle to take an evening photo, but there were very obvious private property signs, so I set up my tripod on the south end of the road bridge leading to Rhuddlan, and waited for the sun to cast a golden light on the castle. I'd say it worked out alright!